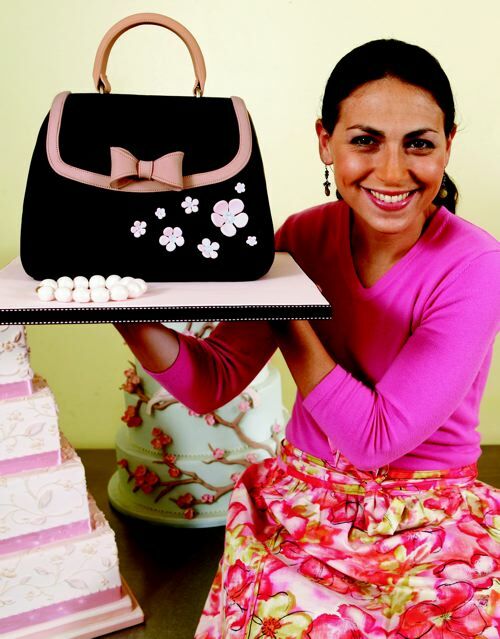 It’s no surprise that her cakes have appeared on the Today show, The View and Martha, that her book, Confetti Cakes, has been featured in InStyle, Martha Stewart Weddings, The Knot and many more magazines, and that in 2008 she was selected as one of America’s Top Ten Pastry Chef’s in Pastry Art and Design. 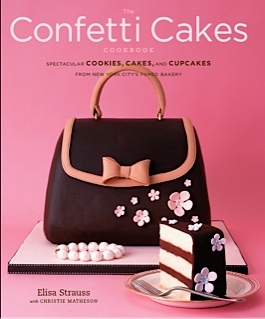 The talented Elisa Strauss, owner of Confetti Cakes in New York City, manages to enchant with every sweet creation she makes. 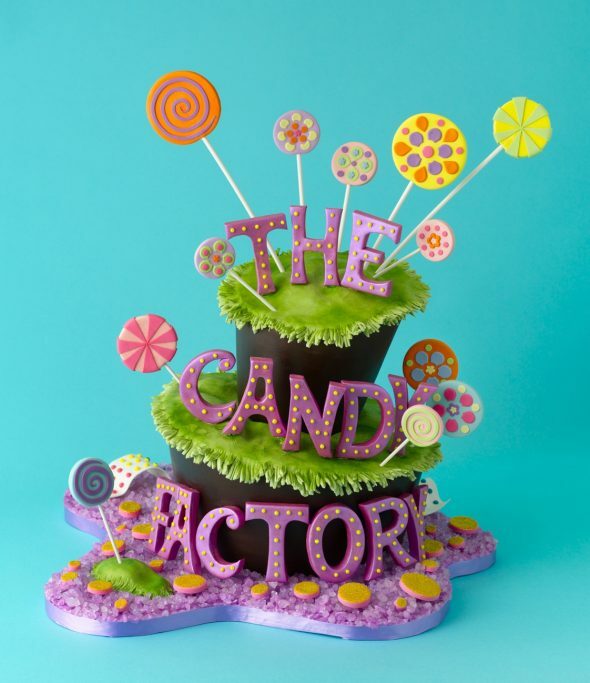 Her books, Confetti Cakes and Confetti Cakes for Kids, are filled with not only inspiring ideas for cakes, cupcakes and decorated cookies, but are thorough in their step-by-step instruction, so whether you’re a novice or seasoned decorator, you’ll be able to easily follow the instructions to making her adorable projects. 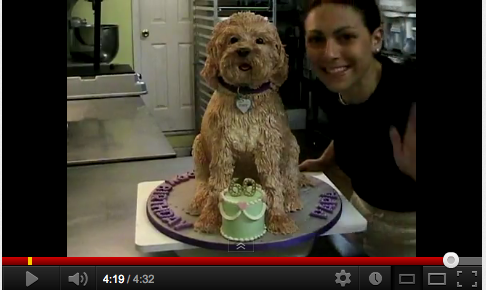 Not only does she teach private and group classes in her custom cake studio on the Upper West Side of Manhattan, you can see how she puts together some of her fantastic cakes, such as her sculpted dog cake, on her YouTube channel. 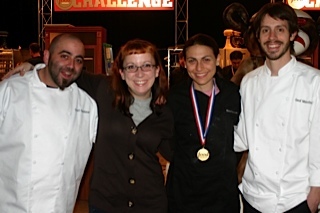 I am thrilled to announce that I had the opportunity to interview Elisa (my cake idol! ), and will be sharing that interview with you here. Thank you so much Elisa, for your time and patience! (We did an audio interview, ahem, twice, but I managed to mess up the technology somehow!). I’m also happy to announce that Elisa has sponsored this giveaway for one copy of her latest book, Confetti Cakes for Kids! Marian: How would you describe your books to someone who hasn’t seen them? Elisa: The thing I like best about our books is that there really is something for everyone. 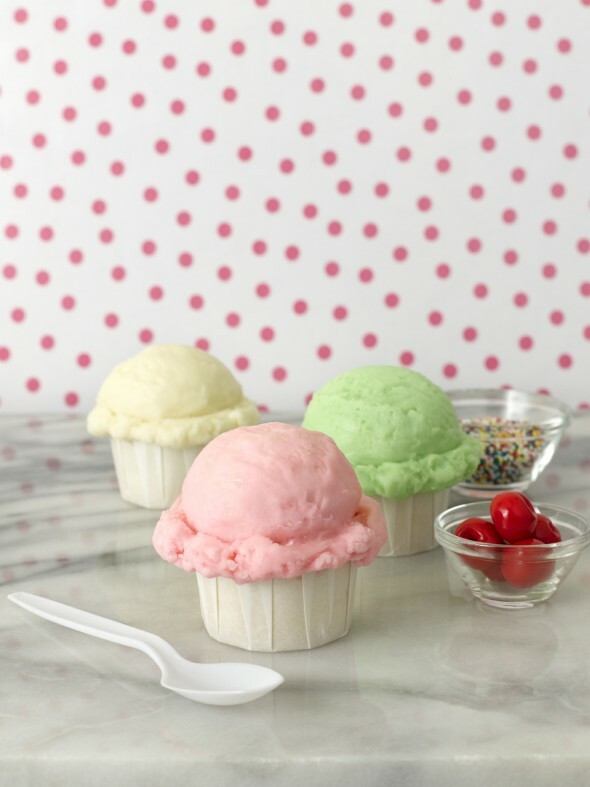 We have recipes for cookies, cakes and frostings for those that love to bake. 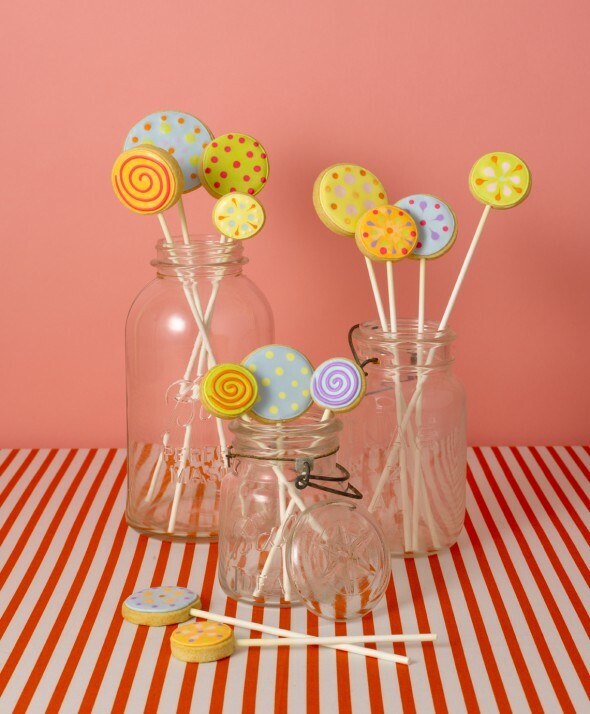 And we have lots of tips and ideas for those that love to decorate. Each chapter starts with the easiest recipe to make and progresses through the chapter to the most challenging. The four chapters are for cookies, cupcakes, mini cakes and sculpted cakes. 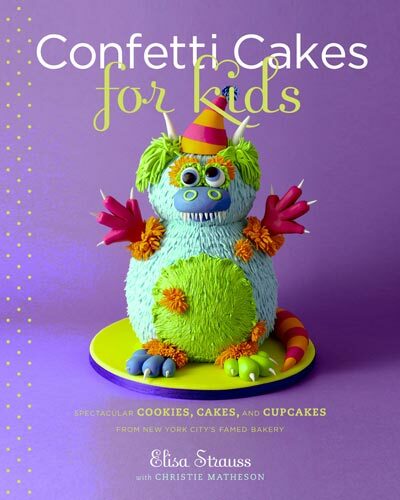 M: Would you be able to pick your favourite cake/cupcake or cookie from each one of your books, The Confetti Cakes Cookbook, and Confetti Cakes for Kids? E: That is SO difficult- like choosing your favorite child! 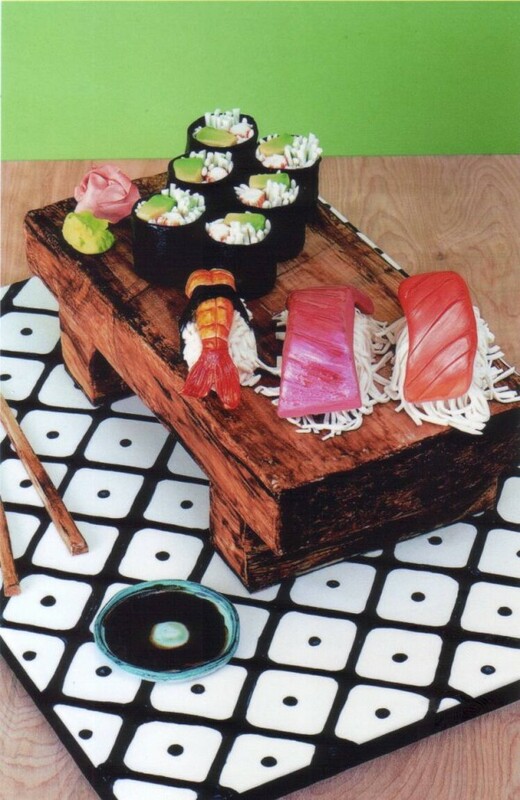 But if I have to then…I really love the Sushi cake in the first book, it just has so many little details and I think the Pajama Cookies for our second book are so much fun- you can make them into any theme you want. M: Did you always want to be a cake decorator? E: No, I didn’t even think about it until I was out of college. I always thought I’d be a Doctor, Architect, Veterinarian. Instead, I combined all three of those with baker into a cake designer. M: Where/How do you find your inspiration? E: Everywhere! – I love textile patterns, architectural motifs, themes or the invitations/color schemes from the events I design cakes for. I especially love making things look realistic so I LOVE copying stuffed animals. M: Where does the name Confetti Cakes come from? E: It’s actually a really boring story- all the other domain names that I had tried were taken at the time (over 10 years ago!) so I ripped up the list of names, threw it in the air and I believe my brother and I came up with the idea for Confetti Cakes- the domain name was free so we took it! 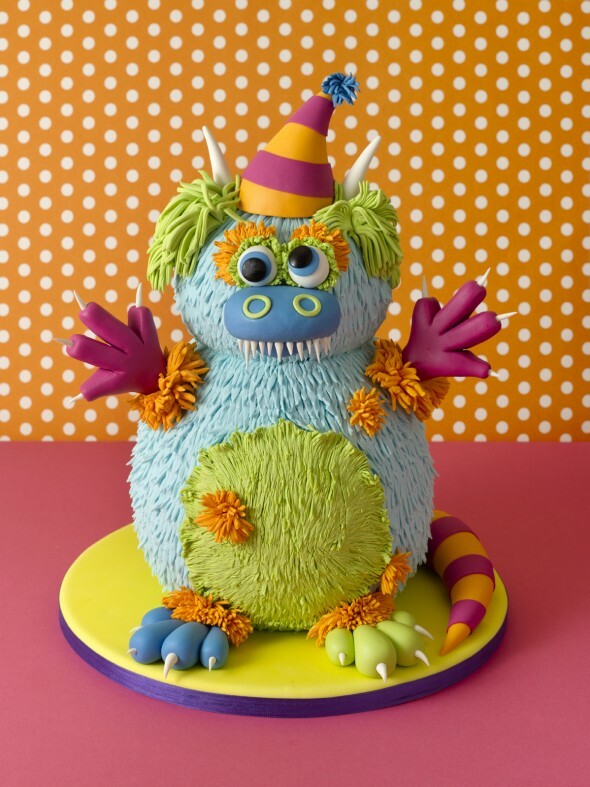 M: Any words of advice for cake decorators who are new to cake decorating? E: For the novice decorator I would say to try and work for as many talented people as you can before launching into your own company- our society doesn’t place enough importance on learning from our elders. M: And for the experienced (as well)? E: And once you are a successful professional don’t be afraid to learn from others. I love to keep learning new techniques and tricks from both professionals and even my students! 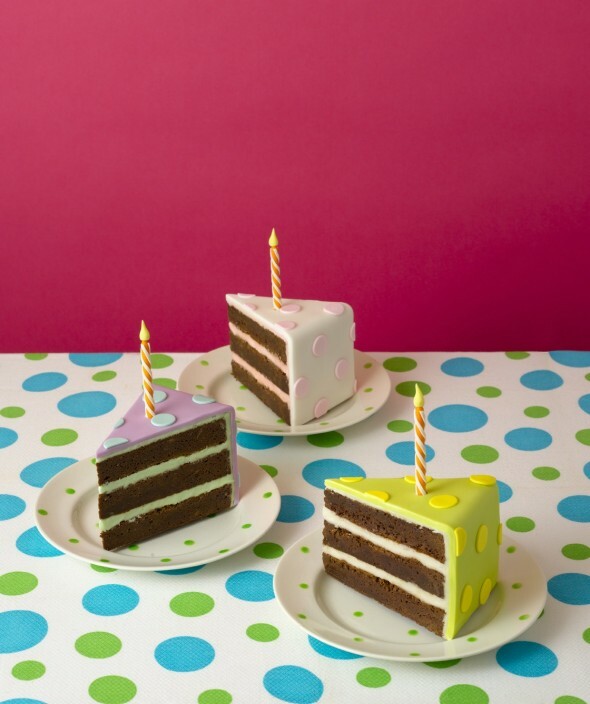 M: Would you have a number one, spectacular tip for cake decorating? -And then cookie decorating? E: Well, I love when things look perfect so I always try to mimic real-life in cake. If I’m making a piece of sushi, I go out and buy a piece of sushi so I can copy every detail. For cookies, I love all the basics- use parchment to roll –out, use rubber bands on the ends of my rolling pin, but anyone reading your blog knows a thing or two about cookies…you are the expert! 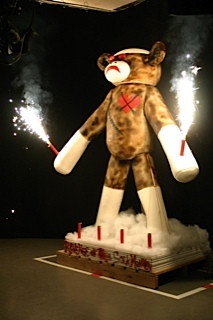 M: Congratulations on winning the Food Network Challenge with your Massive ‘Special Effects’ Sock Monkey Cake!! What were the Food Network experiences like for you? M: What new cake decorating tools or equipment are you excited about lately? E: I would be remiss not to mention Disco dust-I just love the glittery effect it gives and a little bit goes a long way! That’s not really a tool though…hmmm…I am such an old-school baker, I still use my little tracing wheel to make “stitch” marks and a scalpel to cut out fine details. M: What inspired you to write your first book? E: The ability to touch a lot of people who I couldn’t physically meet and teach in person. M: Do you have any ‘cake heros’? 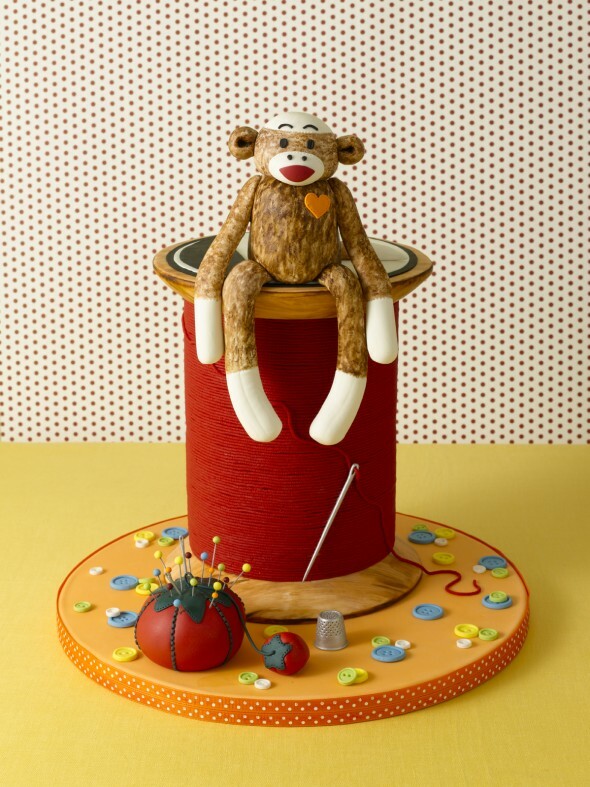 E: I hesitate to mention a few because I have SO many but I adore Kate Sullivan of Lovin Sullivan cakes. M: In your books, you make the instructions easy to follow and include a range of projects in terms of complexity. 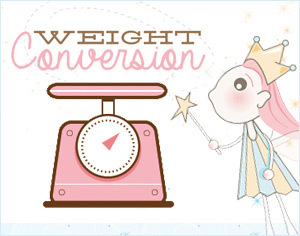 Do you have a target audience in mind with your books? E: Well my mom always tells me I’m very literal so I guess that is why I wrote the instructions (and weighed out even the smallest sugar dough decoration) so meticulously. I wanted the explanations to be as clear as possible so people who had very little decorating experience could achieve success. But I also wanted to offer something to those who wanted to challenge themselves. M: Are you excited about any new plans or do you have any plans to write more books, may I ask? E: I would love to do another book but right now I feel that the best way to reach out to people is through video so that is where I am focusing my energy these days (in addition to my growing family!). M: I understand you’re involved with Icing Smiles Inc. Can you share a little about that? E: Icing Smiles is a non-profit organization that provides custom celebration cakes to families impacted by the critical illness of a child. 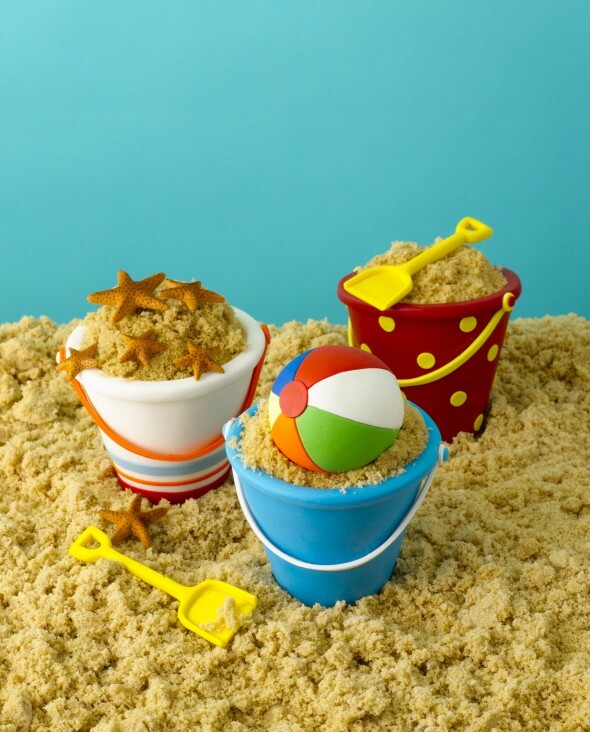 Our mission is to create a custom cake for the ill child or their sibling that will provide a temporary escape from the worry and create a positive memory during a difficult time. 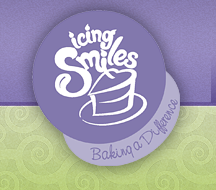 Icing Smiles started in 2010 with one hobby baker. We now have partnered with over 2,000 volunteer bakers and proviced over 1,000 cakes to deserving children. M: Thank you so much for this interview! I’m so happy to have met you, and to have spoken with you – you were a pleasure to interview (3 times! ), and are truly a lovely person! WINNER of Confetti Cakes Giveaway! Congrats! I will be emailing you shortly. Thank you to all of you who entered! This contest is international. The winner will be chosen randomly at random.org. The contest closes at 7pm EST on Sunday, June 24th, 2012.
this would be an awesome giveaway to win, thanks for the chance to enter! Great interview. You both are very much inspiring. I would love to win a copy of the book. Thanks gor sharing! i liked and shared on facebook 2! !